February « 2010 « R-V There Yet? If you have an RV and can go somewhere warm for the winter where are the popular destinations? First, you can go to FL but it is getting expensive. Second, you can go to AZ but some people don’t like the desert. Third, you can go to South TX near South Padre Island and the Rio Grand Valley. And some people go to MX. All 4 choices have had their weather problems this winter. Fl had lots of rain and was chilly. South TX had lots of rain and was chilly. Even the desert was rainy this winter but they had more sunshine.. Mx usually has perfect weather but they even had rain this winter. Finally, the forecast is looking up. Looking at the upcoming temperatures, we can get outside and enjoy ourselves. This is why we come to the Rio Grand Valley. It won’t be long before we are treated to breezes carrying the most wonderful smell of oranges. 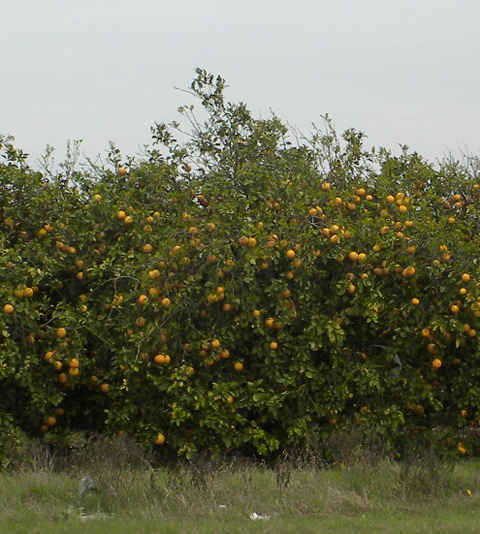 The cool winter has slowed the process, but usually, by mid February, oranges that have fallen off of the trees and decay on the ground produce a fabulous aroma. 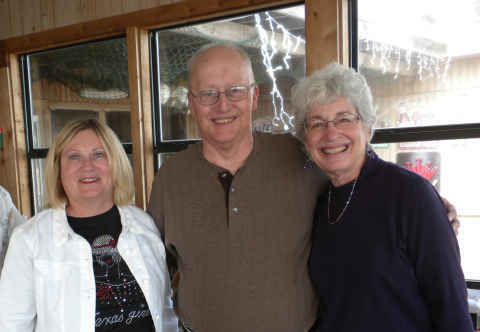 We met fellow bloggers and Montana owners, JoAnn and Doug, a few years ago when we were in Arizona. We keep up with their travels at their “Living Our Dream” journal. 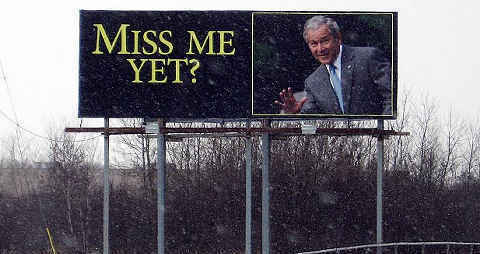 We noticed that they were spending some time in Texas near Corpus Christi. The distance between Corpus and Weslaco is about 180 miles. They contacted us and suggested a lunch meeting somewhere half-way. 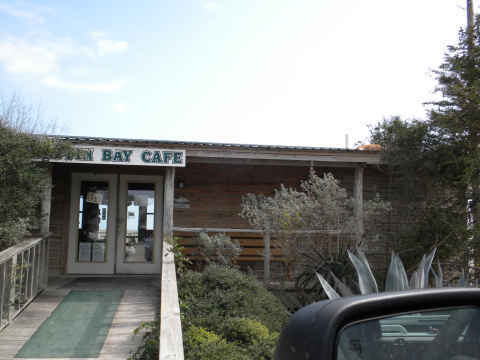 We settled on the Baffin Bay Cafe in Riviera Beach, TX., located 90 miles away for each of us. 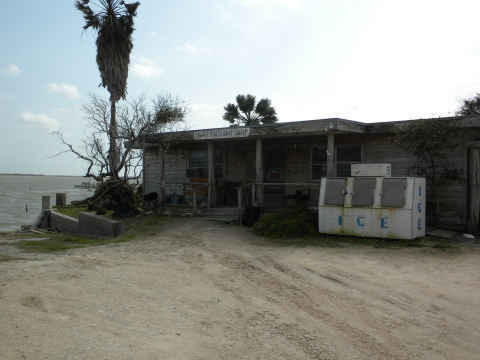 Riviera Beach is located about 10 miles east of the small town of Riviera, TX on Baffin Bay, which is an inlet off of Laguna Madre, near the Gulf of Mexico. We picked a nice 70 degree day and headed north up US 77. Along the way we spotted a couple of oddities. First was a US Post Office and change-of-address-online.com. 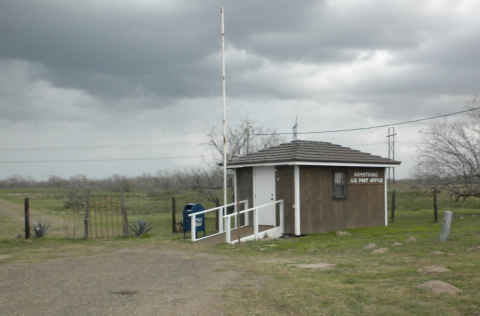 The Armstrong, TX post office is in the driveway of a ranch entrance. The flag pole is empty. I guess indicating that the office is closed. 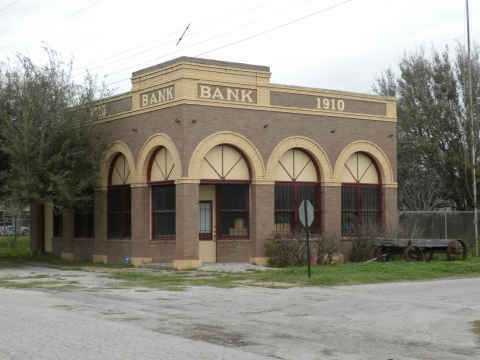 Once we reached Riviera and turned off toward the bay, we noticed this hundred year old bank that appears to have been empty for some time. Notice the buckboard in the front yard. Ten miles east of Riviera, you run straight into the bay. At that point, you’ll find the Baffin Bay Cafe. It is a little overgrown, and therefore not very easy to spot. 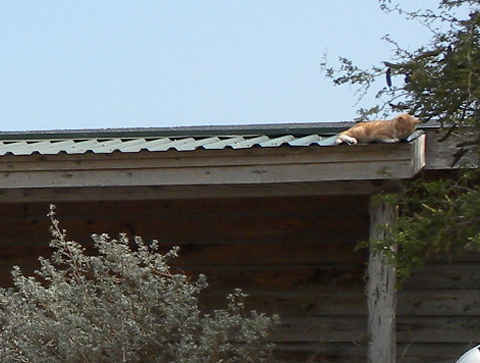 A local cat found it comfortable to bask in the sun on the roof. This place had been recommended by some friends but we wanted to reserve judgment. When we went inside, we found that the place was clean, but not very fancy. We met up with JoAnn and Doug at the prescribed time. We asked the waitress for recommendations and she told us that it really didn’t matter, “everything is fabulous”. Each of us ordered something different and the waitress proved to be correct. Every dish that we tried was great. I guess when an out-of-the-way place relies on word-of-mouth advertising, they had better get it right. There wasn’t much going on in the bay. 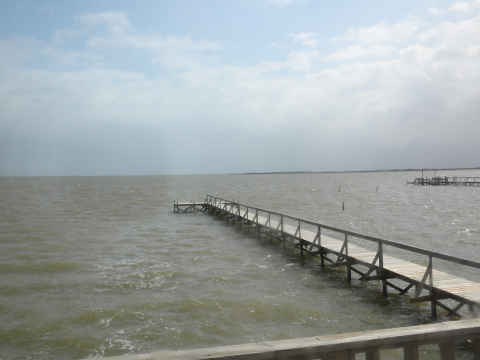 This is a look out of the restaurant window toward the bay. Next door to the Cafe is a boat ramp and an old bait store. Neither building has seen a paint salesman in decades. 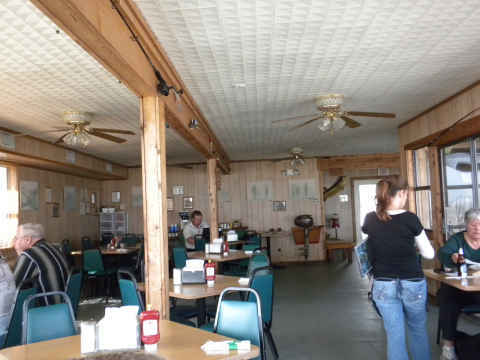 On the unlikely event that you find yourself heading south from Kingsville, TX, you could do a lot worse than taking the detour to the Baffin Bay Cafe. A final thought appeared on the way home. 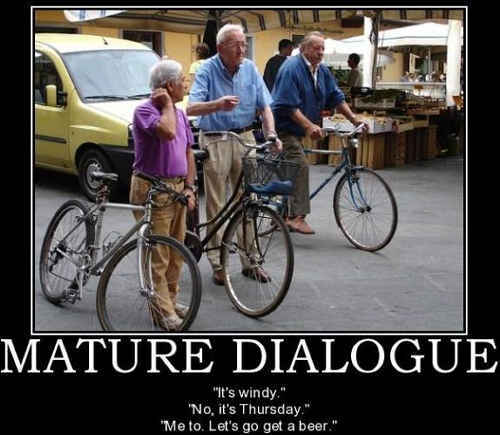 As we grow older, it is good to know that we are still on the same page. Recent visitor, Jerry, raved about the stuffed peppers that he had eaten, some ten years ago, at the old Yacht Club and Hotel in Port Isabel, TX. 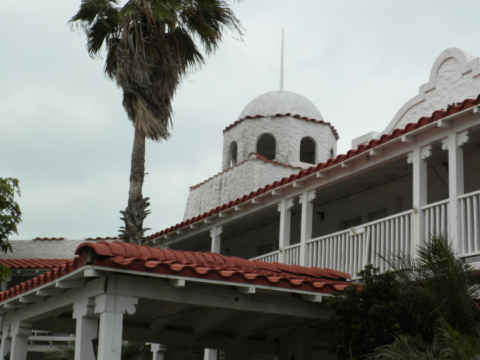 Port Isabel is located on the mainland, just across the bridge from South Padre Island and a couple of blocks north of Hwy 100. So off we went to experience this epicurean delight. As luck would have it, the restaurant doesn’t open until 5:00 PM. Since it was noon, and we were getting hungry, we decided to forego dining at the Yacht Club until a later date. But, while there, we decided to look around. Easily recognizable by its red tile roof and dome, the Yacht Club, established in 1926, had fallen into a state of disrepair. In recent years, under new management, the facility has undergone progressive renovation, beginning with the guest rooms. The new owner, John Hiller, is extremely nice and eager to answer our questions. 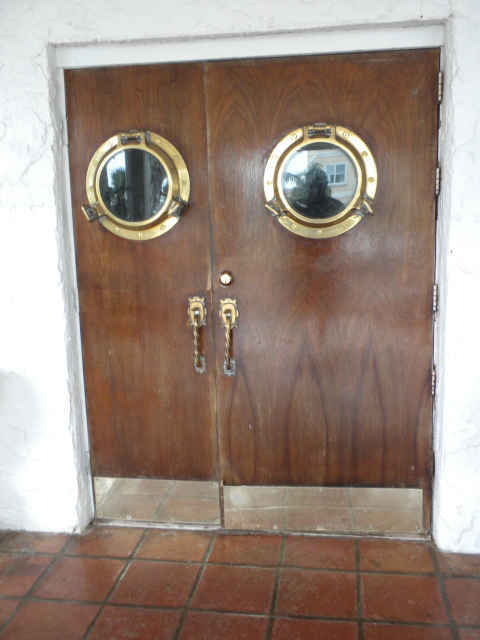 The unusual symmetry of the entry door, seen below, looks like one side or the other was an afterthought. It seems like another door was added to allow something to be brought into the building. Most of the furnishings are antique and fitting the design of the inn all the way down to the front desk. Across from the desk is this fantastic ship model. You can see some of the period lobby furnishings in the background. 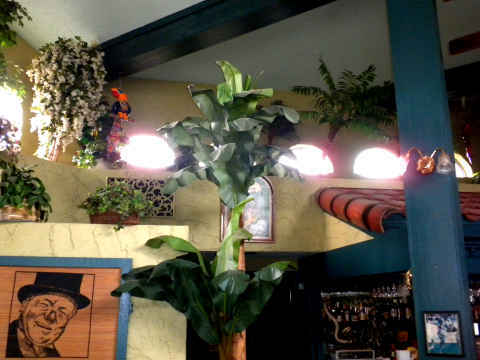 The dining room is bright and cheery. Too bad they didn’t open until 5:00 PM. The lighting is assisted by the windows surrounding the room at ceiling level. If you’re in the area, it is certainly worth a visit. If you try the stuffed jalapeños, let us know how you like them. You are currently browsing the R-V There Yet? blog archives for February, 2010.